Justice Mazhar Ali Akbar Naqvi of the Lahore High Court on Friday summoned the applicant and the prosecution for arguments on November 29 on a bail application by former minister for overseas Pakistanis Ghulam Sarwar. Sarwar is accused of securing a university degree using a fake intermediate certificate. The judge has granted interim bail. The Anti-Corruption Establishment (ACE) had lodged a case against Sarwar for obtaining a fake FA to appear in the BA examination. They said Ghulam Sarwar, son of Muhammad Hayat Khan, had obtained a duplicate diploma originally issued to another candidate of the same name. However, the name of that candidate’s father was Abdul Hameed Khan. 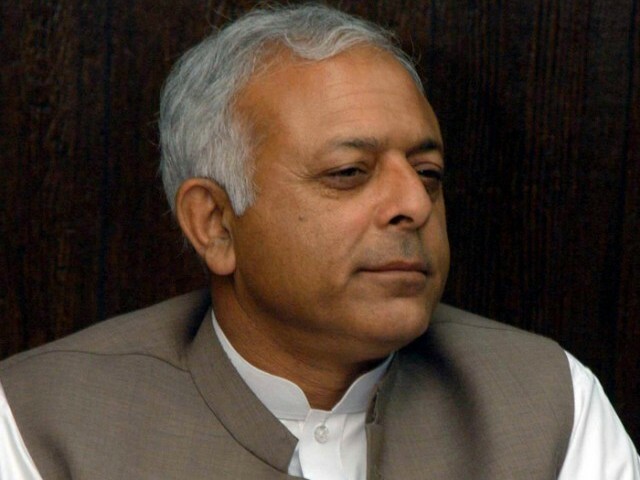 Sarwar was accused of using the duplicate diploma for taking the BA examinations and eventually obtaining a BA degree. The ACE had lodged a case Sarwar, former chairman of the Punjab Board of Technical Education (PBTE), its secretary and two other officials. Sarwar’s counsel has said that this is a case of political victimisation. He says that the ex-minister has a valid degree. Prosecutor General Sadaqat Ali had opposed the application for interim bail and said the former parliamentarian had failed in a practical exam for the diploma but was given an NOC from PTBE employees. He said Sarwar had attached the same NOC with the admission form in BA.